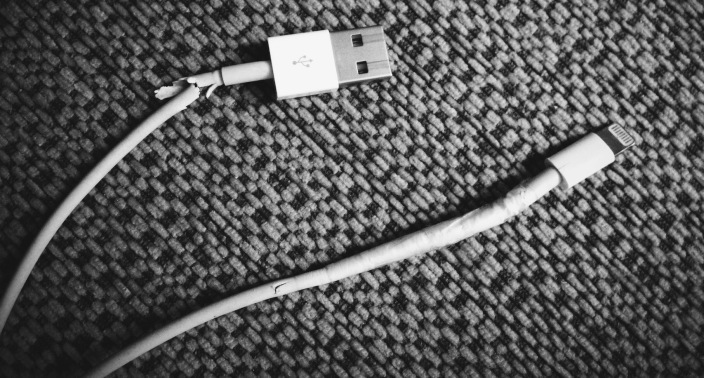 Are you fed up with frequent failure of your phone chargers? Re: Are you fed up with frequent failure of your phone chargers? I wouldn't mind seeing a device that would stop charging my phone at 90%. This would extend the useful life of the battery with only a small sacrifice in runtime. In particular, when I use my phone in my car as my GPS navigation, I'm aware I'm killing the battery slowly keeping it at 100% while the phone is warm. It'd be much better to keep it at 75-80% there. The phone should be able to manage this, but we aren't given such control. I've had laptops with configurable "full" level or a smart mode that would vary at what level charging would stop (90-100%) to prolong battery life. So, a software hack should do the trick. Well, today I turned on my S4 with 30% charge and whenever I went to launch an application the display fluttered and the phone rebooted; tried it a few more times and the same thing happened. At 90% charge it does not. Figure the battery has worn out so I've ordered a replacement -- at least you can easily replace the battery. I would like to find a custom ROM that lets you set charge level but I suspect it's hardware firmware stuff and not going to be possible. Yeah, I've never heard of being able to control the max charge on a phone, just on laptops. It's one of the features that will get attention when the product is from nerd for nerds. Since they'll sure know better than the people who designed the battery and the circuit. Complete waste of developer hours imho. You don't have to "know better" you just have to have a different set of priorities. Remember sonicable? The scammed k$566, the thing it's not working and falling apart. I've never actually broken a phone charger or blown one up. I've had tens of the things. Now a USB mini cable that the latch pins don't die after a week or fall to bits or crack around the strain relief would be nice. I'd buy that. I have never had an issue with a failing charger or micro-usb port. If everyone switches to USB-C the last remaining problems will dissappear. In that respect Apple did it right with their lightning connector, it is a sturdy connector. The connectors are fine but the cables aren't. I have to replace them far more often than the cheap USB micro cables. In that respect Apple did it right with their lightning connector, it is a sturdy connector. It has to be. It's part of the chassis to be able to create those docks where the connector is the only part holding the phone.